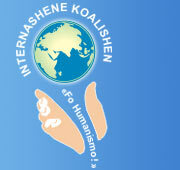 International Coalition “For Humanism” exists for more than 15 years. During this period we incessantly appeal to public and authorities to awake to the fact that refusal from irrelative organization of society and transition to essentially different one are inevitable. Usual points of issue at our yearly conferences are severe problems begot by market, competition, and unrestrained profit race. At present, the urgent problem seems to consist in the financial and economic crisis commenced in 2008. The society is looking for a way out of it. But overwhelming majority tries to find this way out in the scopes of existing social structure. According to our understanding the actual economical crisis is just a particular manifestation of the System Crisis of the modern global civilization. The real problem is the humankind has already become an entire organism whose organization implies refusal from the principle of profit and competition (struggle) in favour of the principle of cooperation (synergism). As the crisis reality per se will inevitably result in rather wide awareness of the necessity of relevant social and economic reforms the most important questions are the following: (i) ways of transformation into a new social formation and (ii) the principal model of such a new society. For a long while we have been calling this new social formation the humanistic society. Corresponding ideas formed from the position of authentism ideology will be represented in contributions of the conference participants. We are glad to invite you to participate in our annual conference. We ask you to inform us about the form of your participation (speaker, listener; publication or presentation of your material) by 20.04.09. Organizing Committee of the Coalition "For Humanism!"